There are certain records in all of our collections that we might praise, but ultimately undervalue. "Yeah, wow that IS a great record, I almost forgot about it!" I've had Eccsame the Photon Band for years and listened to it quite a few times. At the behest of some friends and contemporaries I was constantly reminded that I should give this album it's due, but typically brushed it aside. It's underrated, under-mentioned, nearly unheard in comparison to similar records of the era. I knew it was good, but it wasn't until recently that I actually realized how good this record actually is. 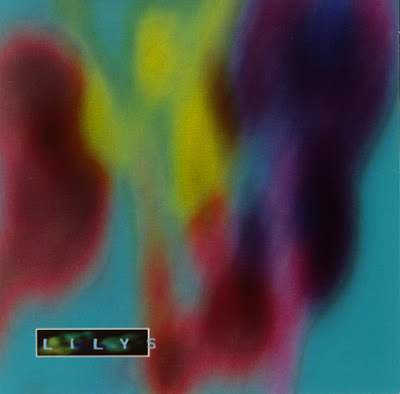 Always placed within the confines of the shoegaze genre, the Lilys foray into the wonderful world of distorted guitars sounds nothing like Loveless or Nowhere. Listening to the record, you can make out individual guitar chords, hear the lyrics and never feel overwhelmed by the oft-suffocating limits and compression of records that employ sounds we typically deem "shoegaze." Eccsame sounds and feels like it has room to breathe. These are ostensibly pop songs hidden beneath the veil of distortion and slow-tempos. There are instances of extended guitar flourishes and electronic washes, but the pop songs remain just under the surface - seeking their way out of the haze, embedding themselves in your head. No, this isn't My Bloody Valentine or even Slowdive - this is a less epic Stone Roses, a Byrds album recorded for the autumn, it's almost Yo La Tengo. This album could only be a product of the middle 1990's, a product of every band doing similar things at that time AND those bands' influences. This isn't party music, it's not music to listen to while hanging out with friends. The album is taken in best when you take it in alone. That's what I've done many times over the past week. Do I think it's an all-time classic now? No I still don't, but I don't think I'll ever undervalue Eccsame The Photon Band again. It deserves a place among the giants of the genre and the giants of your collection.